With over 12 years’ experience, PST Sport offers a range of maintenance packages, from routine maintenance and repairs to complete rejuvenation programmes for synthetic sports surfaces. We cover all of Ireland, with maintenance projects ranging from full-size World Rugby/FIFA and GAA Approved surfaces to training areas for clubs and schools. Synthetic grass may be a low maintenance product but it is not maintenance free and the surface will age prematurely if not maintained correctly. The biggest issue that we see with artificial grass pitches is the compaction of sand and rubber infill after heavy use. This results in the surface becoming hard and unforgiving causing damage to carpet fibres and giving poorer playing characteristics. We encourage every pitch owner to adopt a comprehensive maintenance regime following installation to prolong the longevity of the surface. Along with day to day maintenance, specialist maintenance procedures are critical for optimal performance and maximum life expectancy. PST Sport’s easy-to-follow maintenance program ensures highly consistent levels of performance under intensive usage. The schedule of maintenance will depend on the hours of use and performance requirements. Pictured below: 1,800 sq/m synthetic turf pitch post-maintenance at St Mel’s College in Longford. 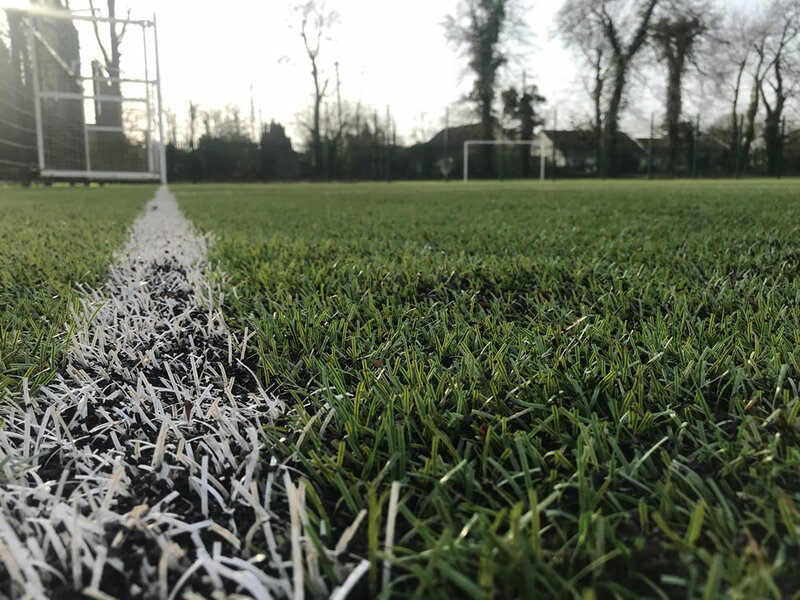 PST Sport carried out a maintenance project on our existing artificial playing surface – we’re very much a sports-focused school so it was important that we were able to extend the lifespan of the artificial pitch. From initial planning right through to the finished job, PST Sport were very easy to deal with and were very professional in terms of the practical know-how that they brought – delighted to say that their maintenance program has ensured that our pitch is now a top quality facility that all of our students will benefit from.